When I gave birth to my daughter, you can imagine that I just couldn't with most of the baby clothes that are out there. You guys...it's bad. Some of the stuff for little girls doesn't even look remotely comfortable, and all of it is covered in cartoon characters, obnoxious phrases, and ruffles. Oh, the pink frilly ruffles. So, I went on a mission to find something else. Clothing pieces for babies (and toddlers) that were cute, but comfortable. Items that were neutral and classic. And for the love of God, no tiny pictures of cartoon owls or "Mommy's Little Angel". I have to say, Instagram has been a great tool in this search. I've found most of the stores/brands through exploring Instagram posts and stories, but others have come through recommendations or were found on blogs that I follow. Anyway, here is the roundup of my favorites so far! I will also be sure to do a separate post on my go to places that are more accessible (brick + mortar) and great for picking up staple pieces like simple onesies and such. Just amazing. A bit on the pricier side, but totally worth it for a couple unique pieces. I decided to order in larger sizes so Marin can get more use out of them (once she's a toddler and staying in one size a bit longer). My favorite item is the Frano Apron in Sand - pictured above. I'd love to get my hands on some of their women's items too! Also, go ahead and follow their Instagram because #goals. This line just offers a handful of pieces at a time, but they are oh so adorable. Their tagline is the cutest..."Your style, her size". I love their peplum tops for the fall, which would be adorable paired with leggings or little jeggings. One of their best items are the maxi dresses. Check out pictures here on their Instagram page. None are available right now, but I can't wait until they get them back in stock! Such an adorable little clothing line. I loved their Posy dress and Blossom peplum top. Looks like they are gearing up for a fall launch of new items, so keep an eye out! From their Instagram page: Organic . Natural . Sustainable. Ethically designed and made in Canada! Every purchase helps end human trafficking worldwide. 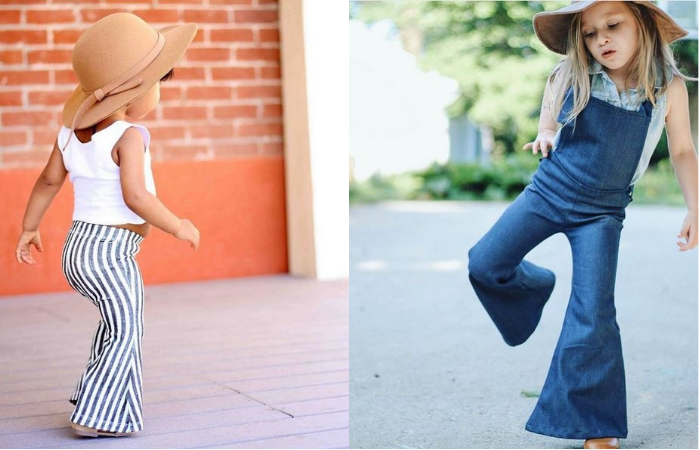 Just stop with these bell bottoms and jumpsuits! 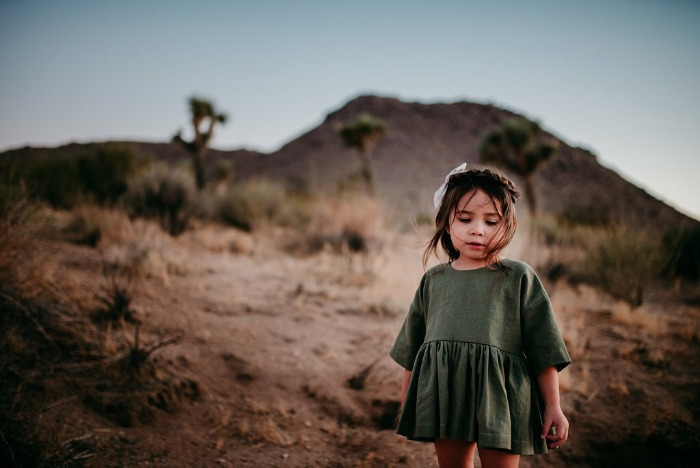 This brand is what boho baby dreams are made of. I can't wait to get my hands on the Maggie jumper and Paisley bell bottoms. And how cute that they offer some matching pieces for Mommy too. 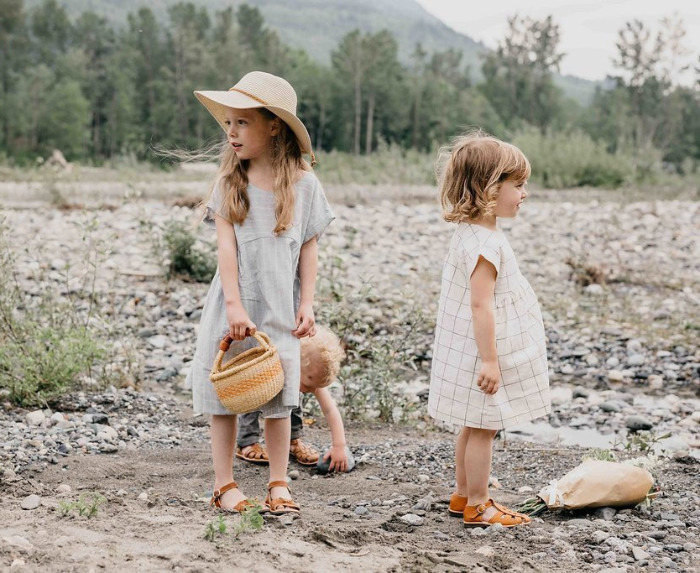 The brand Doen makes gorgeous women's clothing, and has a little offshoot of children's items that they call "Yearling". They are beautiful fabrics and colors, and a lot of the items are even gender neutral, so boys could wear them too. I am patiently waiting for the Tuku Mini Sweater to come back in stock - fingers crossed! If you have any children's clothing brands you love, please share! I'm always looking for new ones to check out.